CoQ10 with Hyaluronic Acid and Soy, (HA SOY Q10) is just amazing! It lifts my whole face and erases all the wrinkles. I start using it 2 weeks ago and the results are just incredible. It has been specially formulated to penetrate deep into the layers of your skin through a unique, all-natural botanical delivery system just like my A Peel and Hyaluronic acid. It also has a liposomal delivery system. Therefore; the botanical enzymes are able to fully and adequately repair the damage from the outside in, and from the inside out. 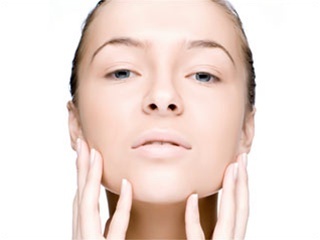 You will notice immediate lifting, firming and toning of fine lines, wrinkles and sagging skin. You will see and feel the long term results when those healthy new cells start making their way to the surface! The product is called the Perfect Complexion HA SOY LIFT. When I did a search it looks like it a new product launched by an individual, not a company. I haven't tried it so I don't have an opinion on it at all. If you give it a try, come back and post a review! Can you please give me the name of that product? Which product that you are using has this?